The Sotty’s heady aroma gets its kick from careful aging and a mottled rind washed in syrah, merlot, or chardonnay. 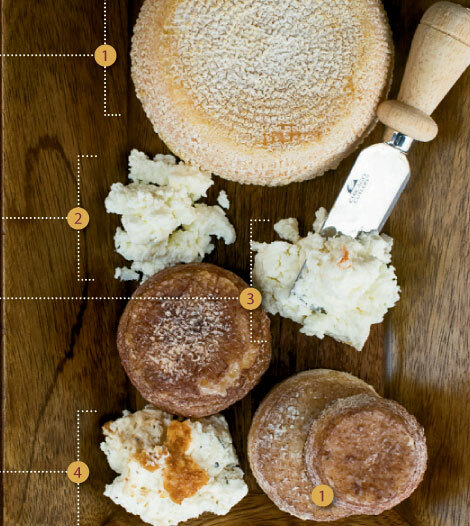 The Bakersville-based farm forms the cheese in several sizes (six to 16 ounces), which results in a pleasant variation in flavors. Organic herbs grown on this farm in Happy Valley lend savory tones to the feathery spread. Look for the dairy’s chocolate goat cheese truffles around the holidays. This sweet and creamy cheese with an earthy hint of herbs is one of the Madison County farm’s many inventive creations in their collection of award-winning cheeses.